By the mid-1950s, the racing teams of Scuderia Ferrari and Scuderia Maserati had realized that they needed an appropriate means to transport their race cars to European race tracks and back to their headquarters. 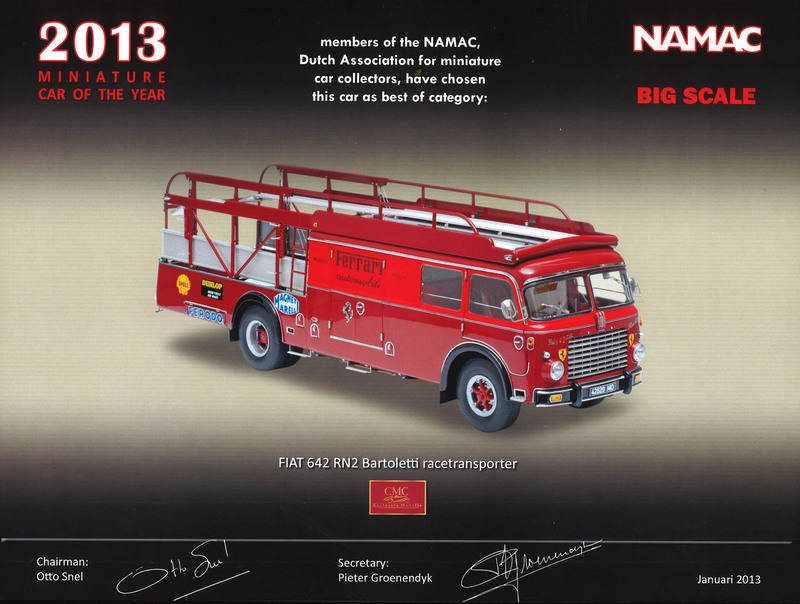 CMC has created the Ferrari race-car transporter as a high-end replica, featuring superlative craftsmanship that will take model-making to a completely new height. witnessed a boom of race car transporters, which are being re-discovered today and held in a high regard. 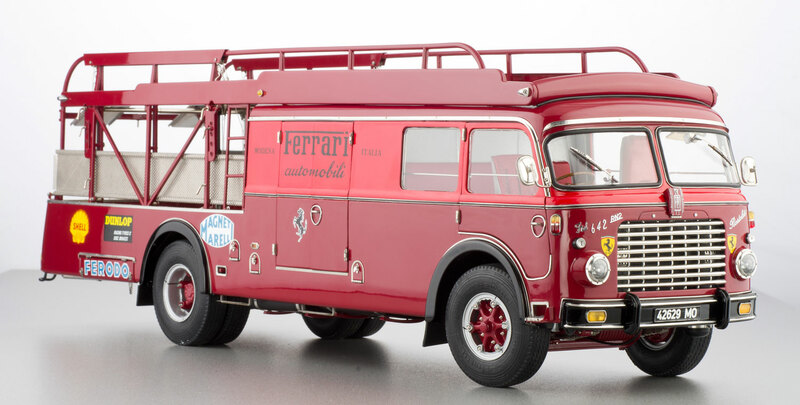 The two similar-looking transporters of the Scuderia Ferrari and Maserati might well be the most famous and technically most mature transporters of those days. They were mounted on Fiat-bus chassis of the type 642 RN2. 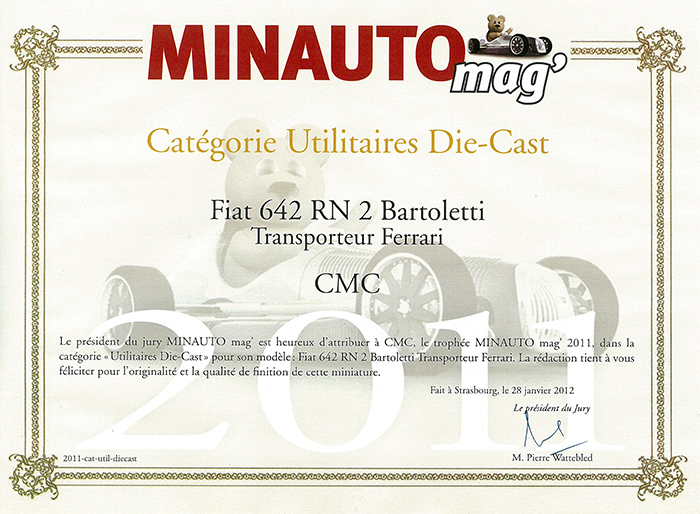 With an open body work designed by Bartoletti, the resultant transporter was good for hauling three race cars. Back in those days, it took a transporter to haul race cars to the race track from time to time. But transporters were not limited to hauling a precious freight only. They had quite a few other functions, too. In each of the transporters, a small but complete inspection bay was set up. It was also used as the crew quarters. This was where the head-quarters were located, in addition to providing a crew space and a sleeping berth during the hectic race weekends. The use of racing term and/or driver names, symbols, starting numbers, and/or descriptions is solely for reference purposes. Unless otherwise stated, it does not imply that the CMC scale model is a product of any of these racing teams/drivers or endorsed by any of them.